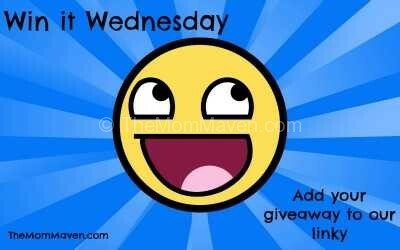 Happy Win it Wednesday giveaway linky day and Happy 4 day work week! It’s an even shorter work week for me 🙂 I did some work on Monday morning because we spent Tuesday at Walt Disney World celebrating Jordan’s 23rd birthday. How can my “baby” be 23?!? Wednesday is a normal work day, Thursday we will quit work early to head to Tampa for a media event at Adventure Island water park. Friday I doubt I’ll get any work done because I’m spending the morning at the local homeschool book fair with my friend, a new homeschool mom that I am mentoring and then in the afternoon Ron and I have eye doctor appointments. Saturday will be spent in last minute preparation for Sunday’s VBS volunteer training that will take place after church. Oh, I’m also leading kids church both services Sunday. Phew, I’m tired just thinking about it and praying for a very productive Wednesday and Thursday! I hope you enjoyed your holiday weekend. Jordan and I spent Friday at Walt Disney World celebrating my birthday. Saturday was a relaxing rainy day thanks to subTropical storm Alberto. Sunday was a rainy church day with a long afternoon nap. Monday we celebrated our birthdays with Ron’s side of the family and I baked a spice cake.